The recipe below is one of my favorite ways to satisfy my taco cravings. It’s a one-pan meal that is perfect for breakfast, lunch, or dinner. Plus it’s easy to cook and keeps well in the fridge, making it a perfect make-ahead dish for busy work weeks. I use ground beef in this bake, which is sort of like a layered omelet or frittata with Mexican flair. 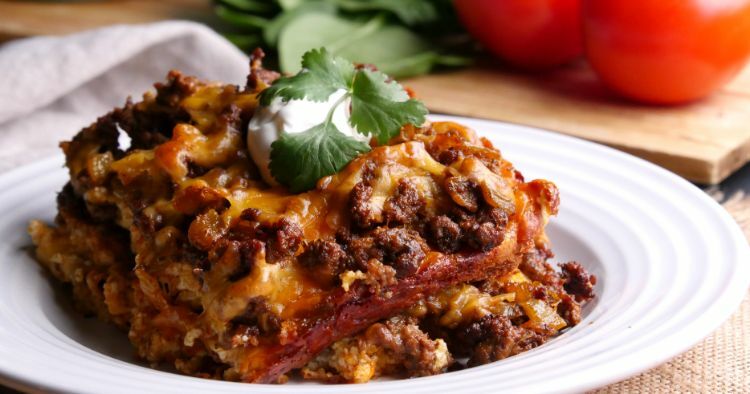 You could substitute shredded beef, ground turkey or ground or shredded chicken. Keep all the fixings around for topping — sour cream, guacamole, salsa, and whatever else you like on your tacos. Preheat the oven to 375ºF. Spray a 9-by-13-inch baking dish with cooking spray. In a medium mixing bowl, beat together the cream cheese, eggs, cream, and 2 teaspoons of chili powder until smooth. 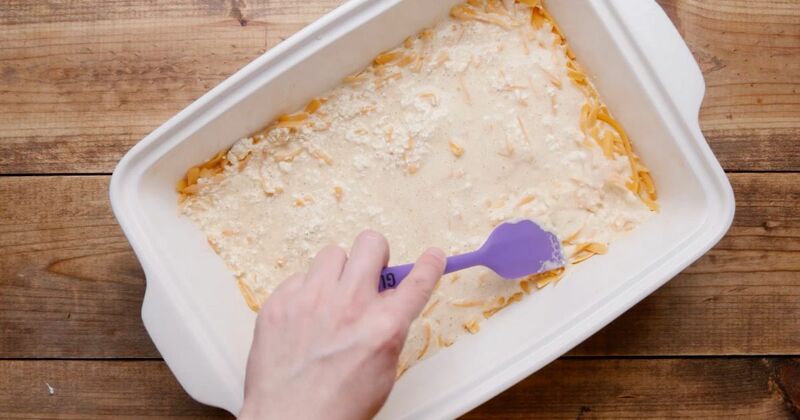 Spread 2 cups of the shredded cheese in an even layer to cover the bottom of the prepared baking dish. Pour the egg mixture over the cheese. Bake in the preheated oven for about 20 minutes, until mostly set. Meanwhile, in a large skillet, brown the ground beef over medium-high heat, five to seven minutes. Drain off any excess fat, and stir in the chili powder, cumin, paprika, oregano, salt, and chilies. When the crust layer is done, spread the meat mixture over it in the baking dish in an even layer. Top with the remaining 2 cups of cheese. Bake for about 20 minutes more, until the cheese is melted and bubbling. Serve hot.